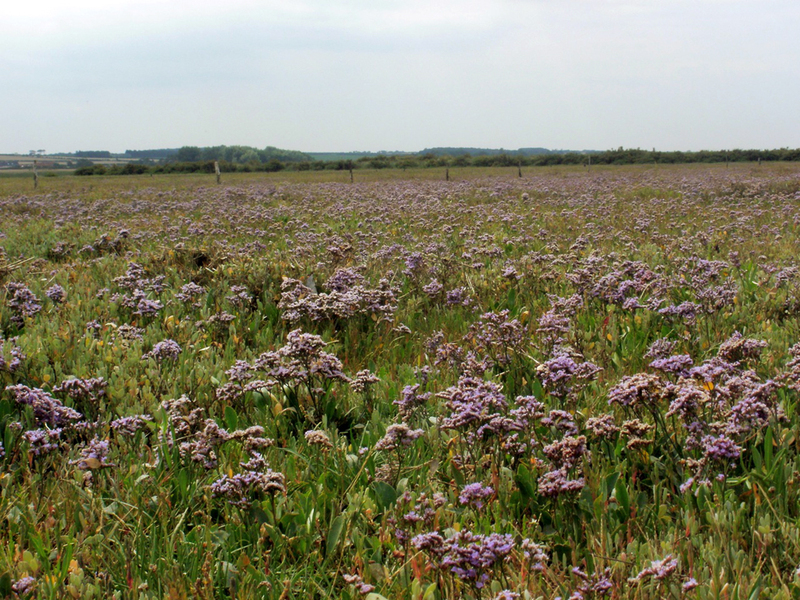 After following a small path through woodland and undergrowth, then open saltmarsh and wide skies this was the inspirational view I stumbled on back in late summer on a glorious day near Thornham saltmarsh, Norfolk… a huge swathe of pale purple sea lavender flowers. Below is the little sketch I did on the spot… can’t wait to re-interpret this as a large painting sometime! 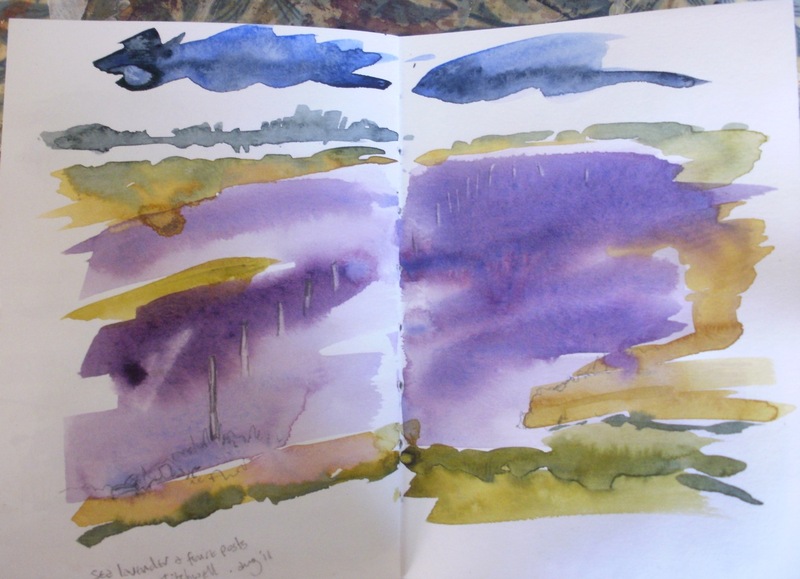 This entry was posted in art, Norfolk, sketching, Uncategorized, watercolour and tagged art, artist, coast, landscape, lavender, norfolk, painting, plants, purple, saltmarsh, sea, sea lavender, sketchbook, sketching, sky, Thornham, watercolour by mari french. Bookmark the permalink. Mari – how glorious! I love the way you’ve made it a sea of lavender in your fab sketch. You’ll have to keep coming back to those lovely, lovely colours and big wide sky – I wish I could say I’ve developed the knack of catching the little and making it big 🙂 I’m getting very excited about the flames of autumn that have suddenly appeared everywhere this week …. lol! I know… I keep doing it don’t I? but I have to put them on a back burner in my head for a while. … its so difficult once you’ve done a great little sketch, to repeat it on a large scale! That’s gorgeous Mari, good to see Summer clinging on now that it’s turned so dark and dismal up here. Yeah loose and luscious Mari. Well done.